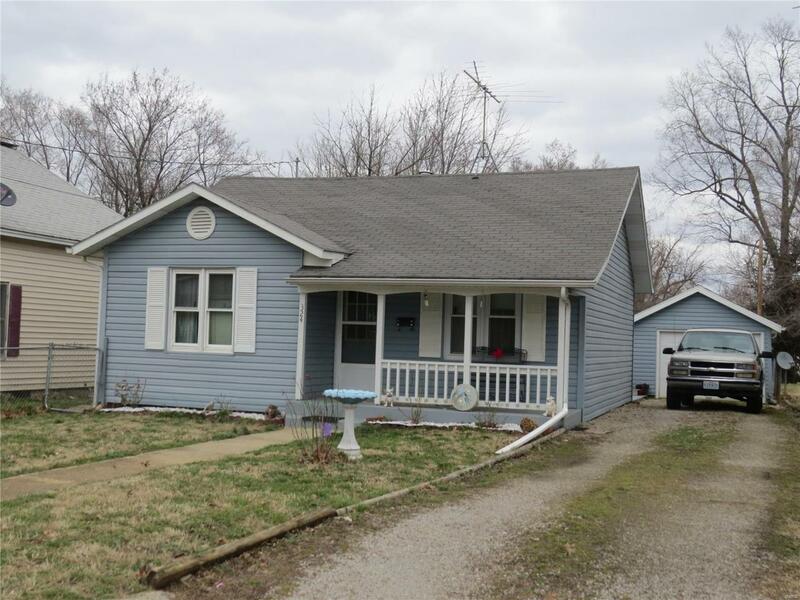 This adorable home starts right the minute you drive up, cute little covered porch to enjoy nice mornings/evenings. As you enter this home it has great open floor plan from the living room, dining room & kitchen! Nice kitchen and great picture window by the dining room table for great natural light. Full bath features bathtub/shower unit. Partial Basement houses new furnace & water heater. great place to store canned goods. Back yard is fenced in and there is an extra room off the back of the house for storage or a craft room, whatever your need may be. All appliances stay with the home, Refrigerator, electric stove(newer), dishwasher, washer & dryer.